Tumwater District Stadium was packed. Both student sections were in a frenzy, cheering loudly as the two teams ready themselves for the final play of the game. Right as the ball was snapped, Zach Loveless said everything went silent for him. The noise from crowd, the sounds from field – all muted. 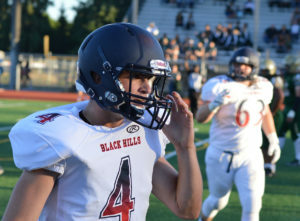 The Black Hills High School sophomore watched nervously from the sidelines as his older brother, Ethan Loveless, the Wolves starting quarterback, dropped back to pass. Visiting Capital had led the entire game, but there was 1 second left on the clock – one remaining tick for Black Hills to pull off the upset. It was all the time Ethan, who had marched his team straight down the field in the final minute to put the Wolves in a position to win, needed. Ethan Loveless drops back to pass against Timberline. The junior signal caller threw the ball with some velocity into a crowded section towards the back corner of the end zone. The pass first bounced off the fingertips of a Cougar defender. Zach’s tension, along with virtually everyone else in attendance, heightened. “I could feel my heart sink when that happened,” Zach said about the perceived wayward pass attempt. The heartbreak lasted a millisecond and suddenly the volume was turned back on for Zach as the Black Hills crowd exploded into celebratory madness. 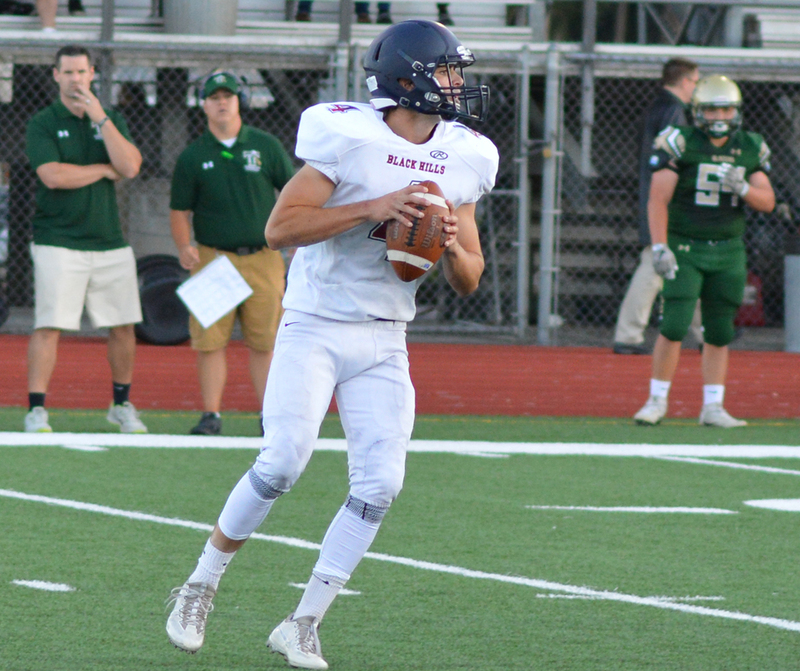 Ethan’s throw had found its way through all the traffic and landed into the waiting hands of senior Kade Weitzel, whose driving catch proved to be the game winner. The horn sounded – Wolves 26, Cougars 23. Zach and Ethan have been chalking up several of those never-forget experiences this football season. Zach is a football junkie – he lives for the gridiron. Ethan’s passion is in baseball – he’s one of the state’s best, receiving attention from several Division I programs, including national powerhouse Oregon State following a sophomore season where he batted .333, drove in 17 runs and earned first-team All-2A Evergreen Conference honors while helping the Wolves advance to the state tournament. The two brothers have experienced plenty of moments together on the baseball diamond, having played together on the same team for a number of years. It’s a different story in football. 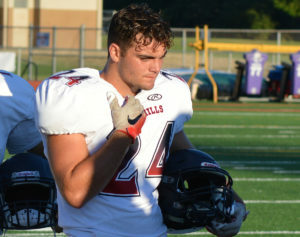 This marks their first season playing varsity together as starters – Ethan as the aforementioned starting QB for the Wolves and Zach starting at linebacker, while also appearing in the same backfield as his older brother when he lines up at running back. Both agree that while each brother’s alliance resides in a different sport, there is unique aspects about putting on the pads and lining up side-by-side every Friday night that are extremely rewarding. And he’s not just isn’t referring to his relationship with his brother. It’s a union a young Black Hills team has relied on greatly during the early stages of the season. 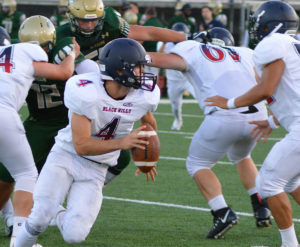 The Wolves welcomed back just one offensive starter – senior wide receiver Jacob Briggs – from last year’s squad that secured its second consecutive state playoff berth. That development was evident not just in the Wolves thrilling overtime win over Centralia, but during a non-conference road contest against Prairie. 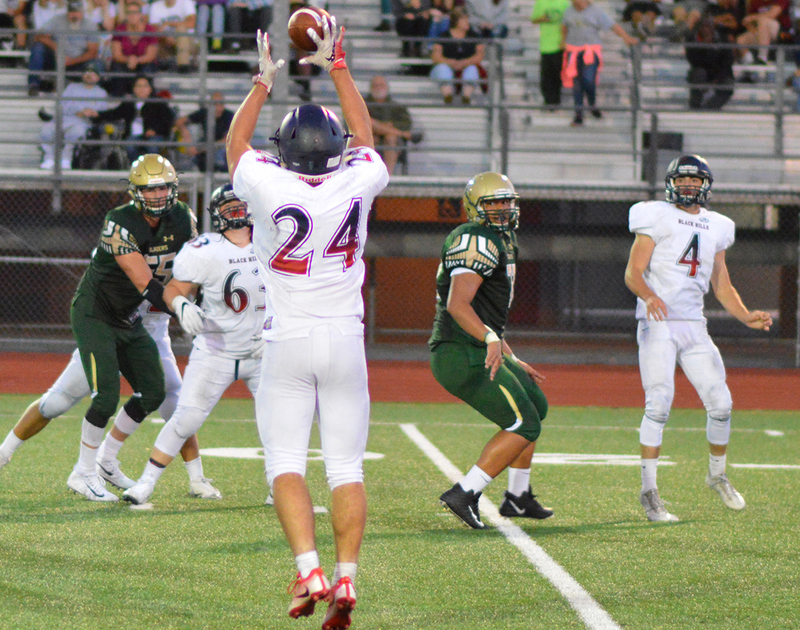 The Wolves’ offense struggled that game, gaining just 179 yards, but the team rallied to find a way to win, blocking a punt for a touchdown and getting a 90-yard punt return from Weitzel for another score.